Today I have the opportunity to present yet another interview. This time author of Beholden, Inez Reilly. Please continue to read to learn a little more about her and her novel. As the people of Galena go about their lives, there is a menace lurking in their town. People are vanishing, leaving families in chaos. Who or what is terrorizing the community? The townspeople are looking for answers and demanding action. Is simple faith enough to combat this darkness that has enveloped the city? Is a police force enough to put an end to the madness? For the members of the multicultural Wisdom Outreach Center it is business, as usual. They have families, careers and ambitions. They, also, have secrets. Their inner battles and private longings bind them together in ways that are hidden from them all. As people begin to disappear, a terror is created throughout the community that is growing out of control. Pastor Zeke Montgomery and Chief Gavin Palmer and the police squad are under scrutiny as the people of Galena are looking for answers about the evil that lurks in the shadows. As the citizens of Galena search themselves, they begin to wonder if they are prepared to meet their maker. There are families that begin to ponder if the missing members are finally being made to atone for their sins. Introspection creates thoughts of what would be done if they had a second chance. All the while, fear is gripping their hearts with each missing person and passing day. Are the acts the work of a lone assailant or something more sinister? Inez Reilly takes you on a journey inside the lives of people who represent us all – people with hopes, dreams, good intentions, regrets, nightmares and ill meaning. As with all of Ms. Reilly’s fiction works, there are guaranteed thrills and surprises. You will be on the edge of your seat, guessing and having to guess again, as you try to solve the mysteries behind the disappearances. 1)Would you tell the readers a little bit about yourself? My name is Inez Reilly. I am a storyteller on a mission. I am a mother, grandmother, sister and friend. I am a motivational speaker and counselor, as well as a student. I enjoy reading, writing and helping others. My passion, outside of writing great stories, is being a doula (an assistant to mothers in labor). 2)Which project are you currently promoting? 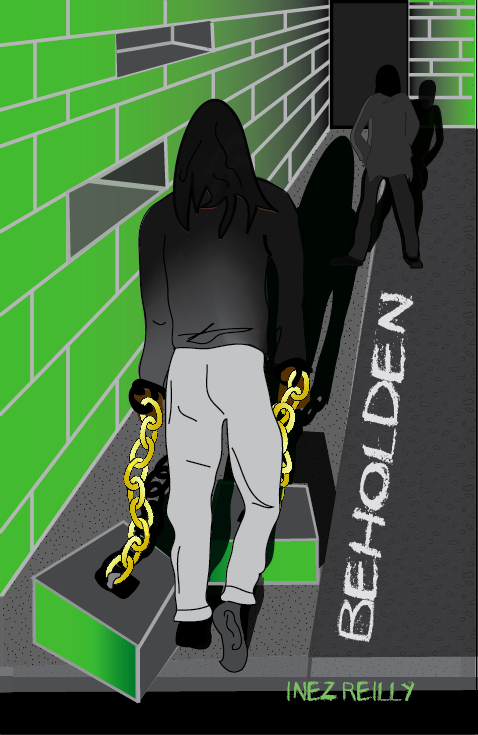 I am currently promoting my newest fiction novel, Beholden. 3)Can you tell us what the book is about? The book is a journey that begins when people, in Galena, begin to disappear. The town is turned upside down as there seems to be no rhyme or reason to the disappearances. The reader is set on the path trying to figure out the mystery and who is ultimately to blame. 4)How did you come up with the title for this book? There is a hidden message within the title. However, it speaks to the lengths the characters would go to obtain and maintain creature comforts. 5)What inspired you to write this book? I enjoy writing inspirational fiction and non-fiction that will take the reader on a journey that could really be happening to them. I use real life issues, with real life responses and solutions. The main characters are strong and resilient which makes it easy to believe they can conquer anything. 6)Did you have the main character’s names already picked out before you began to write? Yes. I have what I like to call the bones of the book complete prior to writing; the names, their families and lifestyles. 7)What can you tell us about your main characters? The main characters are a close knit group of professionals who share a common interest, the Wisdom Outreach Center. They are family oriented and know what they want out of life. 8)Did you have to do any research in order to help you with the writing of this book? I did a tremendous amount of research for the book. 9)What made you decide to become a writer? As a child, writing was my way of escaping the hardships of my reality. I wrote to get things off of my chest. I wrote to create an alternate world, for myself. I wrote to get clarity on my emotions. 10)What genre do you generally write? I write inspirational books, for the most part. 11)Are you interested in writing other genres? Yes. I have found that I have a flair for suspenseful mysteries. 12)Do you follow a routine when you begin to write a scene or chapter? I have a routine in mind, when I begin. However, I rarely follow that routine. 13)How long does it usually take for you to write a book? I have written a book in 30 days and I have written a book in 3 months. So, between 1 to 3 months. 14)Do you have a general idea of what direction you want the plot to take ahead of time or does it come to you once you’ve started writing? I believe it is a little of both. I have a general idea and I allow the story to unfold for me. I have been surprised by my books, quite a few times. 15)What character out of your most recent work do you admire the most and why? First Lady Ziva Montgomery is who I would love to be in an alternate life. She is so confident and headstrong, yet she is tender enough to be madly in love with her husband. 16)Have you ever had second doubts about a story you’ve written? If so, have you wanted to rewrite some parts of it? I believe any good writer will second guess portions of their work. It is par for the course. That is why it is important to have an object eye on your work, to counteract the doubts. 17)Are there any authors you admire? 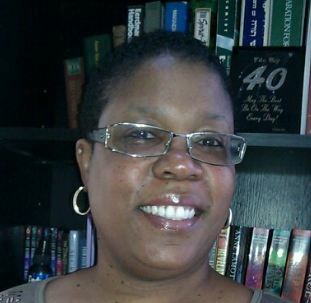 Terry McMillan – she writes stories that speak to the reader. The characters are never out of reach or overblown. They are relatable; that is what I strive for with my characters. 18)What are your favorite titles from this or other authors? Waiting to Exhale, How Stella Got Her Groove Back, and Mama, just to name a few. 19)Have you written any series? If not, are you planning to write any in the future? Beholden is the first of a series. Covenant and Like a Roaring Lion are interconnected, as well. I have 3 projects waiting to break free; the sequels to Covenant and Like a Roaring Lion, as well as part two of the Beholden series. I would have to say, both. 22)Once you begin to work on a new MS, do you have the ending already mapped out or do you envision it as the story progresses? I have an idea of how I would like the book to end, yet I have not had my planned ending in any of my projects. 23)Are there any writing styles you prefer? I enjoy experimenting with different styles. 24)Did you self-publish? If not, is that something you will be willing to consider in the future? I admire the self-publisher. I am working with an up and coming publishing company, Sadie Books. 25)What is your least favorite part about getting published? 27)Do you use a pen name? If so, why? 28)Where do you see yourself in five years? I see my books being adapted into movies and having my books in the hands of many, many people. 29)What is the best advice you can give to a new author? Believe in the power that lies within you. Do not give up, even if you have to do something else while you are writing. Also, do not underestimate the power of editing. 30) Where can the readers find more information about you? Born to a heroin-addicted mother and abandoned at 10 months old, Inez Reilly has endured abuse, on all levels, yet she stands whole and healed. Part of her healing is attributed to penning her pain during her formative years; unbeknownst to her at the time, she was mastering the art of writing. As an acclaimed author of five books, Inez is a proponent of living in the beauty of now while using her gifts and talents to make the world a better place.